Full upper denture, elephant ivory, showing severe intra oral decay, possibly french, 1801-1870. Signs of decay are evident in this upper denture. It is made of elephant ivory. Ivory can deteriorate quickly in the mouth. The denture becomes unsightly, foul-smelling and foul-tasting. 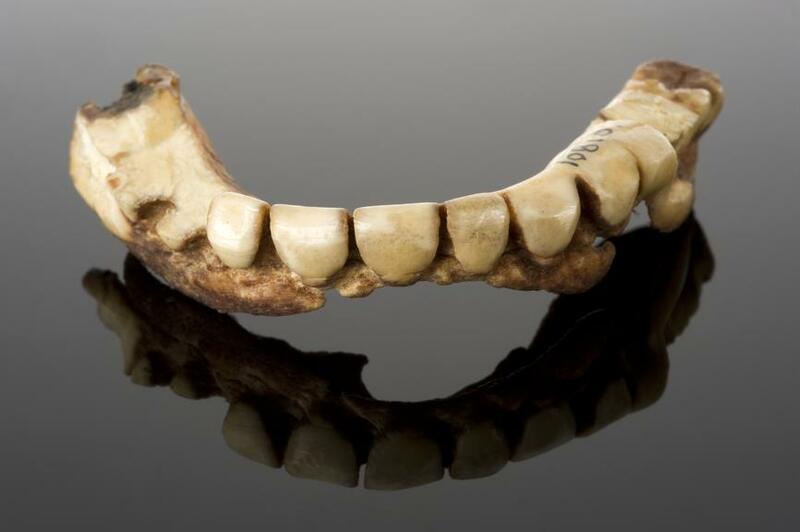 This denture was possibly made for a woman because of its small size. 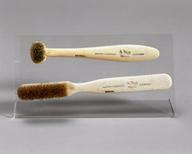 Dentures of this period were made from materials including ivory, porcelain, aluminum and sometimes human teeth. 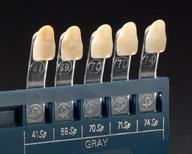 Ivory dentures were relatively expensive to make. Only wealthy people could afford them.